A stunning entry of 37 has been revealed for the £1-million Group One King George VI & Queen Elizabeth Stakes (sponsored by Betfair), run at Ascot on Saturday, July 21. The prestigious contest has attracted top-class entries from Japan, France and Germany, as well as the very best from Britain and Ireland. Often viewed as a “Clash of the Generations”, the King George VI & Queen Elizabeth Stakes (sponsored by Betfair) offers the first opportunity for the cream of the Classic generation to take on the very best older horses over a mile and a half. Aidan O’Brien has saddled the winner of the King George VI & Queen Elizabeth Stakes three times with Galileo (2001), Dylan Thomas (2007) and Duke Of Marmalade (2008), and the master of Ballydoyle accounts for 16 entries in 2012, headed by the stunning unbeaten Derby and 2000 Guineas winner Camelot. A son of the 2000 King George winner Montjeu, Camelot could well be aimed at the St Leger later in the season and attempt to become the first Triple Crown winner since Nijinsky in 1970. Nijinsky recorded a facile two-length victory over Blakeney in the King George en route to Triple Crown glory. 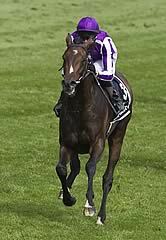 The Ballydoyle entry for the King George VI & Queen Elizabeth Stakes (sponsored by Betfair) also includes impressive recent Coronation Cup winner St Nicholas Abbey, Oaks heroine Was and Await The Dawn, successful over the course and distance in the Hardwicke Stakes at the Royal Meeting in 2011. Interestingly, O’Brien has also given the King George as an option for Fame And Glory, successful twice at Ascot last season - in the Gold Cup over two and a half miles at the Royal Meeting and in the QIPCO British Champions Long Distance Cup over two miles. Japan could be represented by Deep Brillante. A son of the mighty Deep Impact, the three-year-old is trained by Yoshito Yahagi and recently proved himself the best of his generation in Japan by landing the Group One Tokyo Yushun (Japanese Derby) over a mile and a half at Tokyo on May 27. 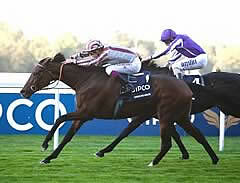 The last Japanese horse to contest the King George was Heart’s Cry, who finished a fine third in 2006. There are six French-trained entries in total headed by Cirrus Des Aigles, who in October won the inaugural running at Ascot of the Group One QIPCO Champion Stakes. The six-year-old, who is trained by Corine Barande-Barbe, has been in tremendous form this season, narrowly winning the Group One Dubai Sheema Classic at Meydan in March, before storming clear of his peers to win the Group One Prix Ganay by eight lengths at Longchamp on April 29. On his latest start he was beaten under a length by Golden Lilac in the Group One Prix d’Ispahan over nine furlongs at Longchamp on May 27. Barande-Barbe, who is based at Chantilly, said today: “We plan to run Cirrus Des Aigles in the King George VI & Queen Elizabeth Stakes (sponsored by Betfair) and he will either run in the Prince Of Wales’s Stakes or the Grand Prix de Saint-Cloud beforehand. I want to see what is entered in both races before making a decision, but there will be good horses in both races. 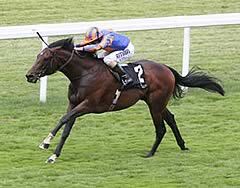 “He has been in very good form since the Prix d’Ispahan. I wasn’t disappointed he got beaten at Longchamp because we had to make the running. In hindsight, we probably should have gone a faster pace because Golden Lilac was having her first start of the year and we know Cirrus Des Aigles has more stamina than her. “It’s hard because there is no pace in French racing and the horse had run over 12 furlongs in Dubai and then 10 and a half in the Prix Ganay after that, so how the race panned out was not in his favour. “The key to him is a fast pace, which makes him perform better, but he doesn’t get that in France. He turned six on May 8, but he still appears to be improving and growing, so hopefully he will race for another couple of years. Also featuring among the French-trained contingent are last year’s French Derby scorer Reliable Man, Goldikova’s half-sister Galikova, winner of the Group One Prix Vermeille in 2011 plus the Mikel Delzangles-trained Dunaden, who triumphed in the 2011 Melbourne Cup and went on to enjoy more Group One success in Hong Kong. 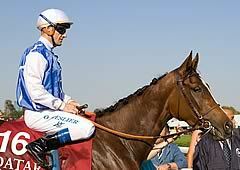 Entered from Germany is last year’s Prix de l’Arc de Triomphe heroine Danedream, trained by Peter Schiergen. The four-year-old recently confirmed she was in rude health when successful in the Group Two Grosser Preis Der Badischen Unternehmer at Baden-Baden on May 20. Dahlia (1973 & 1974) and Swain (1997 & 1998) are the only two horses to have recorded back-to-back successes in the King George VI & Queen Elizabeth Stakes (sponsored by Betfair) but there could a chance of a third in 2012 with Nathaniel. 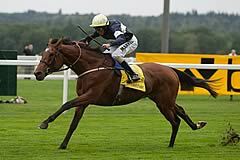 The John Gosden-trained four-year-old defeated Workforce by two and three quarters last season and could be joined this year by stablemates Aiken, who has won his last six starts and the 2011 St Leger victor Masked Marvel. Sir Michael Stoute has trained five winners of the King George VI & Queen Elizabeth Stakes (sponsored by Betfair) and the Newmarket handler’s two entries this year are Sea Moon and Fiorente. Other contenders include Godolphin’s Dubai World Cup winner Monterosso and Dancing Rain, winner of the Epsom Oaks and the QIPCO British Champions Fillies' And Mares' Stakes at Ascot last season. Nick Smith, Head of Communications & International Racing at Ascot, commented: “We would hope that the King George will be seriously considered for Camelot. Given the distance, there would appear to be some logic in taking in the Ascot race if the Triple Crown route is to be pursued, which we wholeheartedly hope will be the case. “It would be fantastic to see Camelot take on the likes of the Champion Stakes winner Cirrus Des Aigles, Arc winner Danedream and last year’s King George winner, Nathaniel, and to be able to assess him against the best of the mile-and-a-half elder generation, and indeed the best three-year-old in Japan, their Derby winner, Deep Brillante. The King George VI & Queen Elizabeth Stakes (sponsored by Betfair) forms part of the middle distance division in the QIPCO British Champions Series.